Pastel is a medium favored by many artists who are constantly on the go. 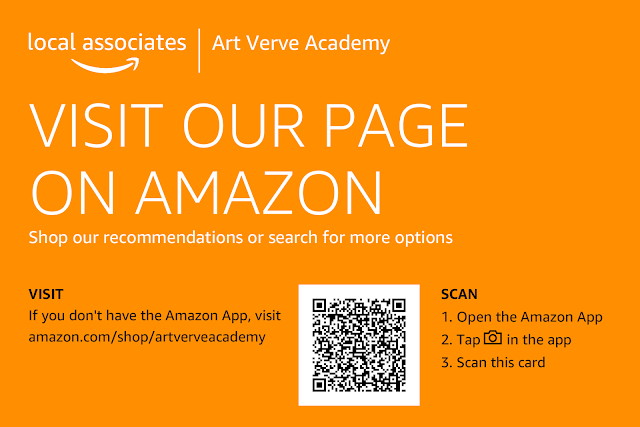 Beautiful, long lasting high quality works of art can be produced in a short amount of time because no drying time is needed as with wet mediums. Pastel will not darken, fade, yellow, crack or blister with time because it does not contain any liquid binder, as found in oil paint. Pastels from the 16th century exist today, as fresh as the day they were created, although in many cases, it is the paper that has begun to deteriorate, not the pastel. Pastel Pencil techniques are characteristic of both pastels and sketching mediums such as charcoal or graphite. For example, hatching, crosshatching or smooth gradations can be achieved. They can also be blended to create one flat even tone. Faber-Castell calls their PITT® line of pencils & pens because they are earth colors that appear as though they came from a "pit", hence the name morphed into "PITT®". You can buy then separately or you can buy an entire set of colors. I also use these pencils for color drawings. Faber-Castell PITT® Pastel Pencils are very suitable for lines, shading, and delicate color transitions, and also for extended areas. 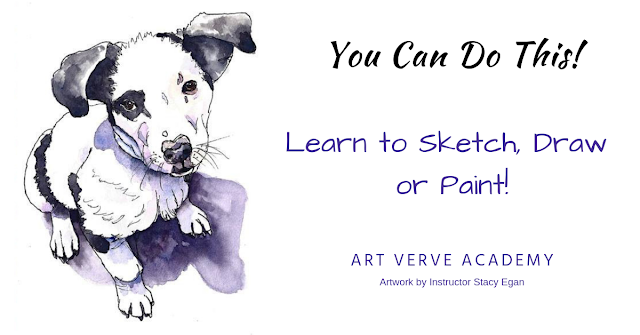 They can be used for sketches, studies, portraits, still-life, and landscape drawings. They give a smooth flow of color without being used up too rapidly. The colors are rich in pigment, which allows dense shading. They do not change on fixing or exposure to light. Wood-cased PITT® Pastel Pencils do not dirty the fingers, and the leads are free of oils. They can easily be wiped or use a brush to merge areas of colors. 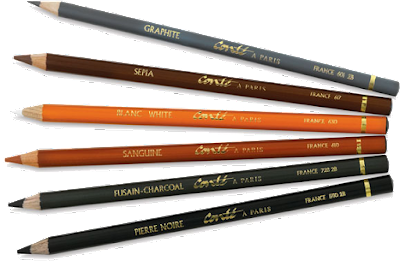 Conté, also known as Conté sticks or Conté crayons, are a drawing medium composed of compressed powdered graphite or charcoal mixed with a wax or clay base, square in cross-section. Conté pencils are the same material but encased in wood. 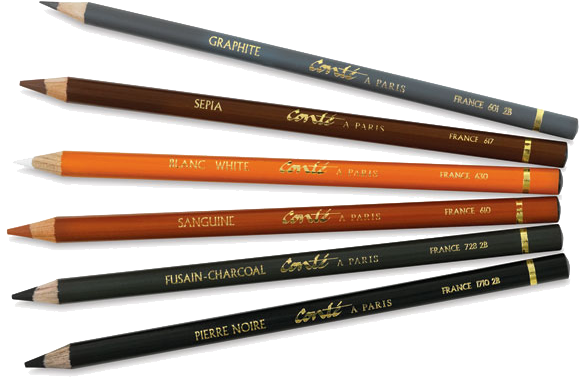 Conté was invented in 1795 by Nicolas-Jacques Conté, who created the combination of clay and graphite in response to the shortage of graphite caused by the Napoleonic Wars (the British naval blockade of France prevented import). Conté crayons had the advantage of being cost-effective to produce and easy to manufacture in controlled grades of hardness. Sandpaper is preferred to sharpen these pencils, they will break off in a manual or electric rotary sharpener.